Devastating natural disasters have profoundly shaped human history, leaving us with a respect for the mighty power of the earth—and a humbling view of our future. 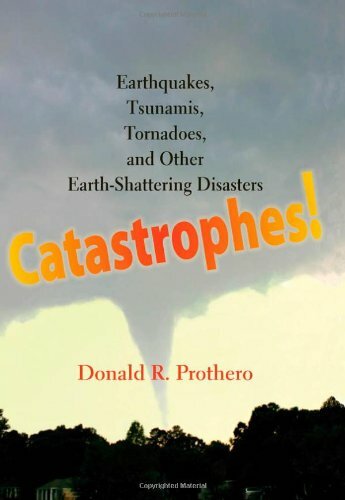 Paleontologist and geologist Donald R. Prothero tells the harrowing human stories behind these catastrophic events. His clear and straightforward explanations of the forces that caused these disasters accompany gut-wrenching accounts of terrifying human experiences and a staggering loss of human life. Floods that wash out whole regions, earthquakes that level a single country, hurricanes that destroy everything in their path—all are here to remind us of how little control we have over the natural world. Dramatic photographs and eyewitness accounts recall the devastation wrought by these events, and the people—both heroes and fools—that are caught up in the earth’s relentless forces. Eerie, fascinating, and often moving, these tales of geologic history and human fortitude and folly will stay with you long after you put the book down.